Discussion in 'The Sound Hound Lounge' started by markedman, Dec 7, 2016. It seems like just yesterday. I get so choked up just thinking about it. His command of feedback and his aggressive style is my absolute favorite. kristian, fishruss, monty and 1 other person like this. I was only peripherally aware of his music, but I remember thinking what a stupid waste it was. I also remember how shaken the cop looked on the news after he dispatched the assailant. Horrifying scene. 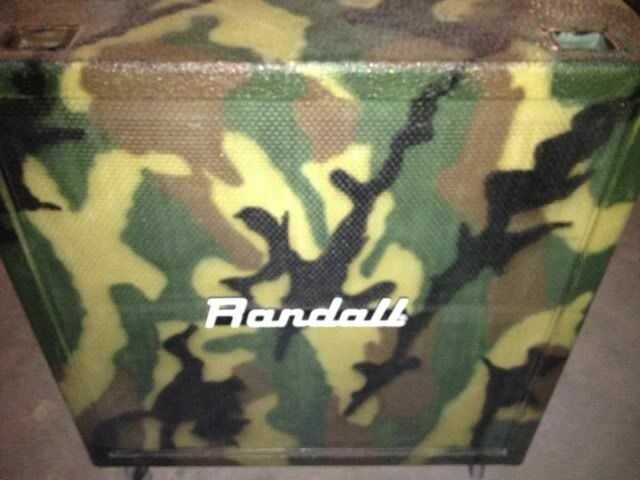 I have a Randall 410 cabinet which was a part of the Dimebag "Win this Rig" contest. Pretty sweet. 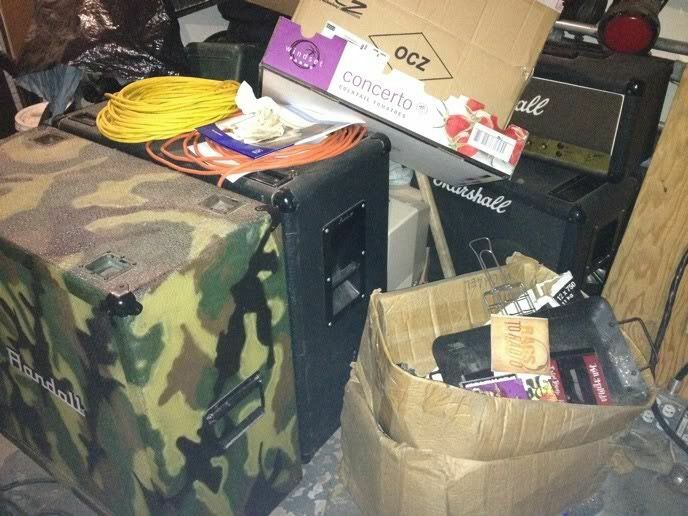 It is the bottom cab to this full stack. I wish it was the A cab in the pic. R13D, JiveTurkey and fishruss like this. It's been 12 years? Wow. I miss that guy. I worked in a high rise office tower when this happened. I remember looking at a tv on the elevator that they had showing the news, and wondering why I'm reading about a heavy metal guitarist on the morning news. Very strange and horrifying situation. The Great White fire was around the same time; I was at the same job. It was very odd seeing musicians that I read about on TGP involved with mainstream news and for such awful occurrences. R13D, JiveTurkey, Lution and 1 other person like this. He was so influential on all the guys playing guitar that I grew up with. One of a kind. My favorite of that style. R.I.P. Dime. Smile that black toothed grin. Hard to believe it's been 12 years. I live in Columbus, and at the time was watching TV, saw them break in about the shooting at the AlRosa, but had no idea until later that night. A few friends called to see if I was alright, since I hung out there occasionally. Rest in Peace, Dime. JiveTurkey and fishleehooker like this. I almost went that night. I went to see Lamb of God at Al Rosa 2 weeks prior and I pointed at the Hellyeah poster to my buddy and asked if he wanted to go. His favorite band was Pantera but he had used up all his sick leave to go see Judas Priest and Lamb of God, so we opted not to go. When I found out I lost my mind and my friend wouldn't talk to anyone for days. My best friend worked at Al Rosa off and on and knew 2 guys that died that night. He helped put on a show to benefit the lesser known dead from that horrific night. I still fantasize about the What if. What if I went that night and that alone changed history. What if I could have done something, as unlikely as that is? I know this is destiny and much bigger powers at play, but damnit I wish I would have been there if I could have done something. On the flip side I am glad I wasn't there to see something so grizzly and horrific. RIP Darrell. 12 years already? Man, time flies. What a tragedy. Not a Pantera fan but sure listened to them in high school (thanks to my best friend who was a huge fan). I always dug Dimebag though. He had a great feel to his playing and really knew his stuff. He always came off as a regular guy too, no ego. The type you want to spend all night drinking with (well, given the amount he used to put away, maybe not such a good idea ). I wasn't a huge Pantera fan, but I owned both Vulgar Display and Far Beyond Driven. I still love both the rhythmic tightness of This Love and the psychedelicness of Planet Caravan. At the time, I subscribed to all the guitar mags, and while it was Dime overload, and he was sometimes too much. But I never skipped an interview because he was such a character. I think that's what made his murder more shocking. Dime was larger than life.... it didn't seem like some pissed off pissant could take him out. But, one crazy man with a weapon and all that. I really can't pigeonhole Dime as a "great guitar player" but damn, he was perfect for Pantera, and I think Pantera was Dime. That band could never continue with anyone else. So while I personally don't know if he was great, he achieves something else that's probably more rare, he was unique. you never had to ask "who was the guitarist on that song?". Lots of people copied him, no one else came close (lookin' at you, Zakk). I'm 30, I went through a big hard rock/metal phase in my teens, and Dimebag was one of my favorites. 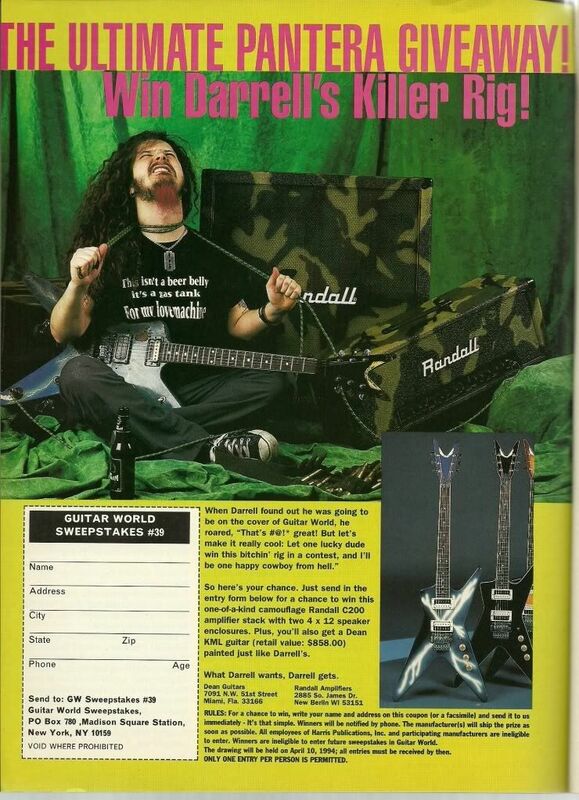 I wanted, but never got a Dean Dimebag ML, and I remember asking my mother if I could change my AOL screen name to "DimebagD333"
From NJ, now in Nova Scotia! Saw him with Pantera a couple of times. Hard to imagine the sustained energy he brought to the music. He owned the crowds. grew up in DFW seeing pantera at the local clubs. also lived in columbus for 3 months and went to alrosa. not enough is said about dime and vinnies fantastic sense of rhythm, there is nothing like them, and they influenced so much of metal in the last 20 years. disapointed that the 10 year anniversary of his passing (or his 50th Bday) didnt see a re-release of the pantera home DVDs (which are hillarious and very entertaining even if you dont like metal). Hey its great that you have that fantasy of being able to do something on the night to prevent what actually happened. However, I suspect that with a crazy and ruthless shooter like that, nothing could have been done by anyone unless they were very well armed and very near the stage that night..and maybe really alert. But even then - probably not. Gale was just far too methodical, he knew the venue well and was lightning fast getting in. I have spent a long time understanding just how it all transpired because it seemed so unbelievable. Its scary to think that a guy like that was out in the rear carpark prowling around by himself, and in under 90 seconds was standing on the stage and moving towards Dime. Nothing can defeat this kind of insane plan from a deranged mind unfortunately. Dime did have his own security guy's and crew. Venue had reasonable/good security that night. They saw Gale all afternoon outside the rear of the venue. He talked to security several times. Its terrifying to know that there are these kinds of unglued ex military or police guys with stealth skills. I am sure we all would have loved to be able to prevent Dime from being harmed. He was just so super amazing to me with such a unique sense of fun as well. Just so sad. Really glad I got to see Dimebag with Pantera a few times. He was always entertaining. I dug the sorta wobbly/out of tune vibe his tone had.